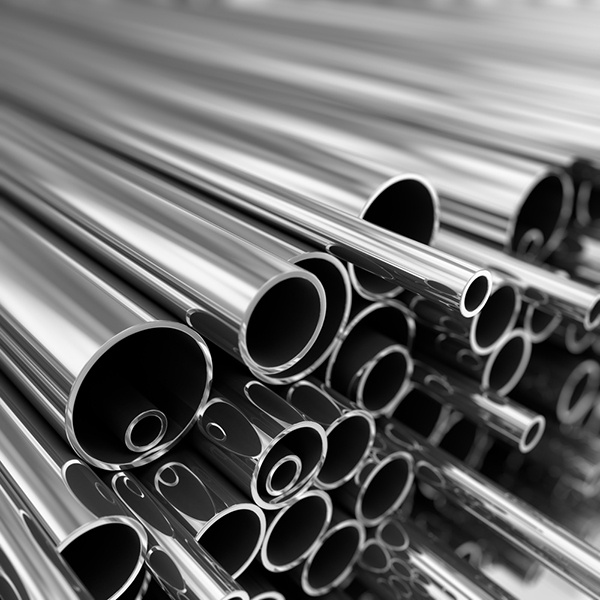 Round stainless steel tube and tubing can be provided as both a welded and a seamless product. Using a welded tube is typically a more cost-effective option for use in low pressure, ornamental, and structural applications. Some welded sizes come pre-polished to a 180 grit (similar to a #4), but we can have all tubing custom polished per your specifications. The seamless tube should be used in high-pressure applications. Available Steel Grades:304, 304L, 316, 316L, 310, 321, 410, 2205, Alloy 20 and more! Seamless and welded options are available. See our pipe and stainless steel tube charts on the right to see what sizes we carry.